Evelyn Atieno is a technical assistant at the BecA-ILRI Hub responsible for the formulation and sterilization of quality cell culture media, buffers, microbiological grow plates and antibiotics used by the Hub and ILRI Biosciences group researchers. She also confirms the proper functioning of the equipment necessary to produce the sterile products is functioning correctly and ensures the daily replenishment of cold room or freezers products, monitors use of consumable and maintains an updated inventory of all the chemicals, buffer, media used in the laboratories on the Laboratory information System (LIMS). 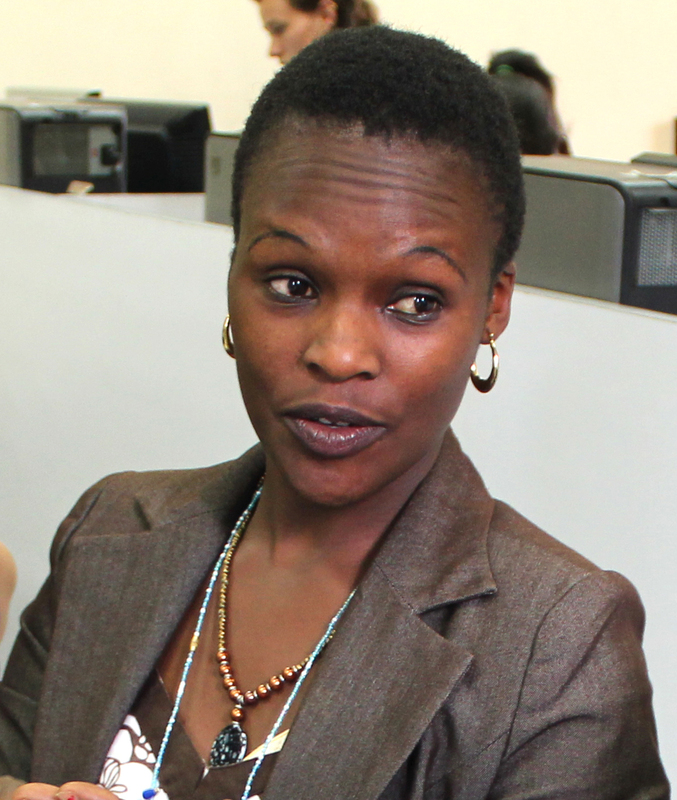 Evelyn completed a course in Science Laboratory Technology at the Kenya Polytechnic University College in 2004. After graduating, she volunteered as a Technical Assistant in the Herbarium department at National Museums of Kenya. She previously did her internship at ILRI where she gained experience in Molecular Biology techniques and assisted with the preparation of the laboratories for the Canadian International Development Agency (CIDA)-commissioned Environmental Health and Safety audit by PharmEng from Canada. She has done courses on Bioinformatics in Software Programming, has a Diploma in Technology in Biotechnology and holds a BSc in Biotechnology from the Technical University of Kenya, Nairobi Kenya.